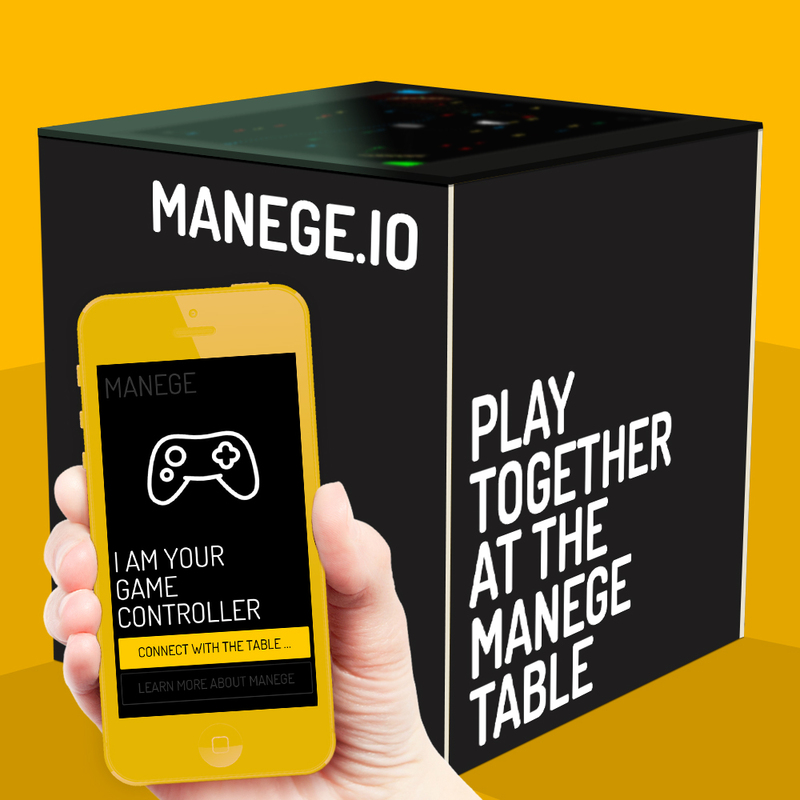 MANEGE gathers players around a table. The smartphone becomes the controller and connects virtual interaction with communication. It is inspired by classical arcade games and requires players to work together. Apart from enabling communication via smartphone, the devices are used in MANEGE in a different way to connect people and let them play together.